This year’s Digital Death Report (now called The Digital Legacy and Digital Assets Infographic) has manifested itself into an interactive ‘infographic’. According to Wikipedia an Infographic is: “Information graphics or infographics are graphic visual representations of information, data or knowledge intended to present information quickly and clearly. They can improve cognition by utilising graphics to enhance the human visual system’s ability to see patterns and trends”….In other words information that uses graphics to help make it visually interesting! We would like to thank everyone who completed our this year’s survey. Without their/your input the Infographic could not exist. 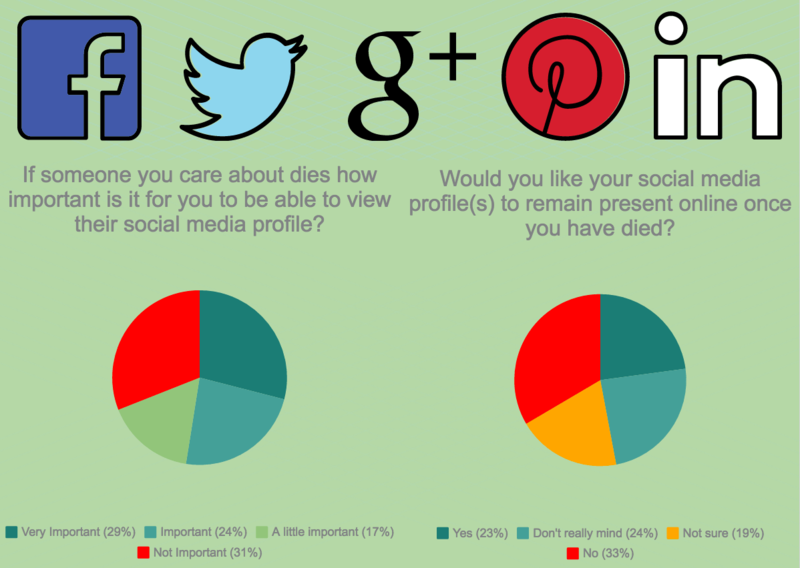 Our survey and Infographic explores society’s attitudes towards death and bereavement within today’s world of Facebook users, selfie takers and mobile phones owners. “Our digital footprint is the trail of digital information and digital assets that we leave whilst we are alive. Our digital footprint often then becomes our digital legacy when we die. Both our digital footprint and digital legacy is becoming increasingly important for many people. This can often be the case for children and young adults, many of whom have not known a world without the internet. We hope that the timing of this year’s Digital Legacy and Digital Assets Infographic will help evoke thought, conversations and planning within these areas as this year’s Children’s Hospice Week comes to an end” says James Norris of the Digital Legacy Association. Children’s Hospice Week is the UK’s only awareness and fundraising week for children with life-shortening conditions and their families and the palliative care services that support them. This year the campaign will put families first to improve public understanding of what life is really like for families caring for seriously ill children. It will also highlight how precious family time is and how the wide range of children’s palliative care services across the UK provide vital support to thousands of families and help them treasure their time together. To view the datasets in more detail roll your computer cursor over each chart of interest. If you have a slow internet connection it may take a few moments for each chart to appear. Feel free to share this Infographic on your website and across your social media sites.